There’s nothing like quality time with family and seeking out adventure in every drive. This is what the 2019 Honda Odyssey does best. 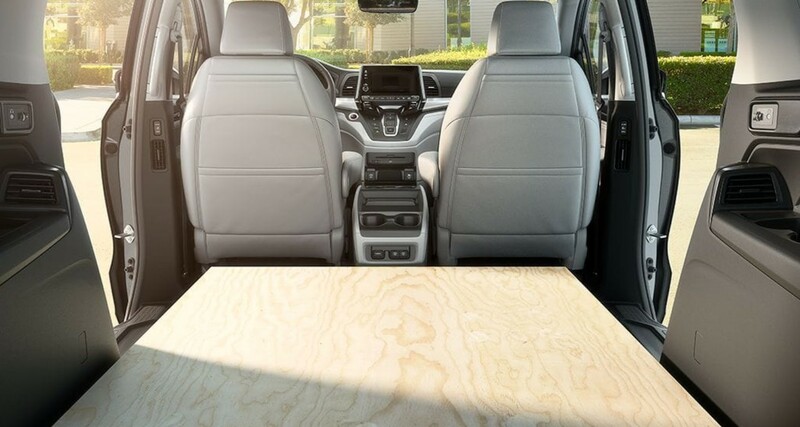 Boasting improved comfort and connectivity, the Odyssey is the perfect minivan to bring on school runs, trips to the ball game or weekend jaunts out of town. It’s big on family, and it shows, with a range of features and amenities that make it one of the most versatile vehicles in Honda’s lineup. 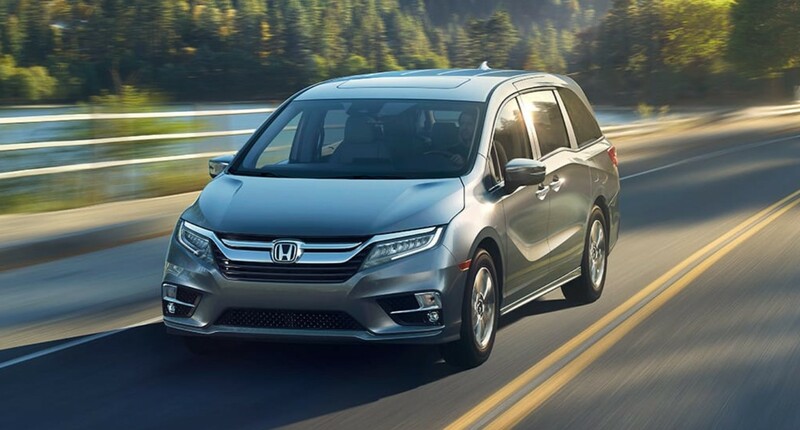 Book a test drive here at Rock Honda and find out everything that the 2019 Honda Odyssey for sale in Fontana, CA, has to offer. Our large Honda Odyssey inventory offers a wide selection of trims, accessories, and options this side of the Inland Empire, and is easily accessible by customers from San Bernardino and Rancho Cucamonga. Bring the family along for a test drive to try out the Odyssey’s capabilities and get a load of our amazing deals to get one into your driveway. Check out the 2019 Honda Odyssey today, only at Rock Honda. The 2019 Honda Odyssey looms large on the road, but it doesn’t look clunky in the least. A streamlined body cuts through the wind with buttery smoothness, accounting for the minivan’s efficiency especially when it stretches its legs on the interstate. Leading the charge is a streamlined face, where the large Honda badge seems to float elegantly on the large grille, its wings touching the LED headlights. Handsome lines cut a svelte profile along the sides, and eye-catching LED tail lights on the massive tailgate shine brightly in day or night driving. Open the power sliding doors to a cabin that’s bound to take your breath away, starting with an ergonomic cockpit that makes it easier to read the onboard instrument cluster via a full-color 7-in. Digital Driver Information Interface. Magic Slide™ second-row seats enable you to strike the perfect balance between carrying passengers and cargo. Treat your family members to everyday luxury with the leather-trimmed seats and soft-touch interiors, coupled with the Tri-Zone Automatic Climate Control. Make onboard entertainment a family affair with the Multi-Zone Audio with Bluetooth® streaming on the 8-in. Display Audio touchscreen and connect your compatible devices with Apple CarPlay® or Android Auto™. Crumbs or dirt in the cabin? Tidy up in no time, with the available HondaVAC® cleaning system. In a minivan this big, it’s the little things that matter. Bringing the 2019 Honda Odyssey to luxurious liftoff is an Earth Dreams 3.5L SOHC i-VTEC® engine that puts out 280 horsepower and 262 lb-ft of torque. Harnessing that output is a choice of 9-speed or 10-speed automatic transmissions with paddle shifters and Shift-by-Wire technology. A MacPherson strut suspension in front and compact multi-link rear suspension setup work together for optimum ride comfort that the whole family will certainly appreciate. The Multi-Angle Rearview Camera helps you keep an eye out on more than just your playful kids on the back seat, secured as they are with the standard LATCH anchors on the second and third row. 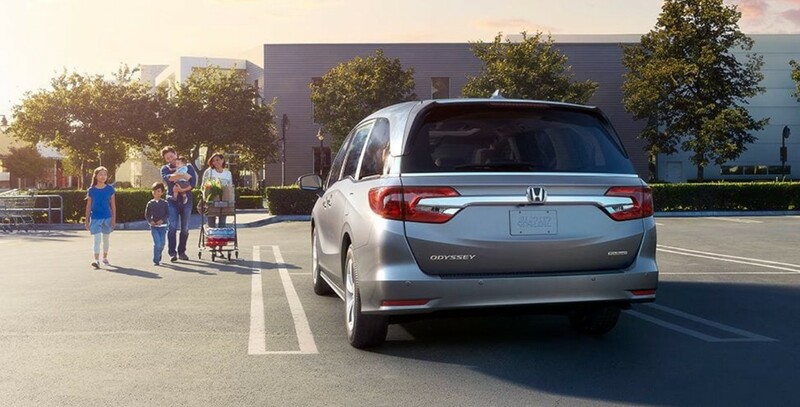 More importantly, the Odyssey is your fortress of protection for everyone on board, thanks to Honda’s Advanced Compatibility Engineering™ body structure that absorbs and dissipates impact forces away from the cabin. Meet the newest member of your family in the 2019 Honda Odyssey, now available at Rock Honda in Fontana, CA.